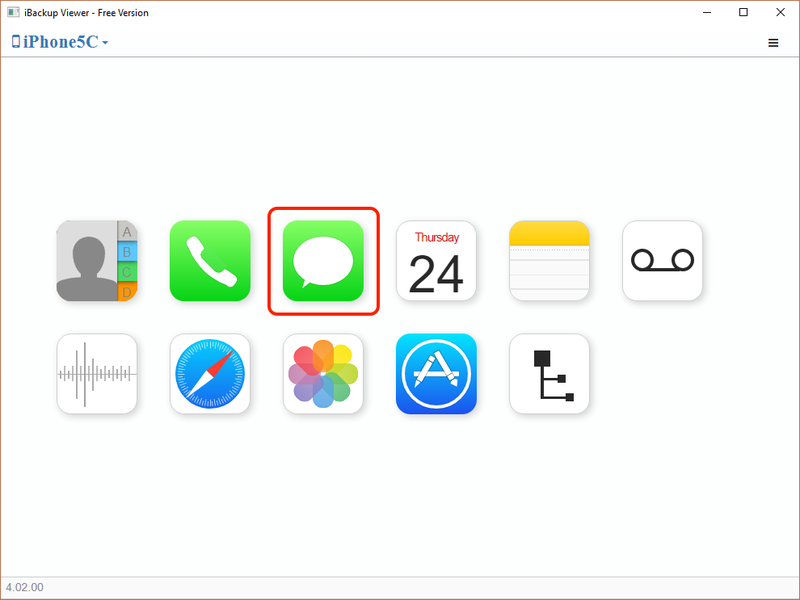 Messages are sometimes important to us, because I remember that one of our users asked me how to save SMS messages from iPhone backups which were created with iTunes and print out, which would be used as evidence on court. From the case we can see that how important it is to extract messages from iPhone backups, and PDF is the best chosen format. You will learn to export messages to PDF files using iBackup Viewer in this tutorial. All in all, you need to download and install iBackup Viewer first. This is really very easy to do by following the simple steps in download page, or reading the tutorial. Once you have iBackup Viewer installed, you need to launch the app. iBackup Viewer will automatically load all backups available in the specified backup location. (You can change the backup location in Preferences if the backups locate in place different than default location). Click on a backup, and then click on iMessage button to load all messages. Click the "Export" menu at the top right of the window, and choose "Current Thread to PDF..." or "All Threads to PDF..." from the drop down menu. iBackup Viewer will load available fonts on your operating system. Choose your preferred font, and adjust the font size of the header and contents. 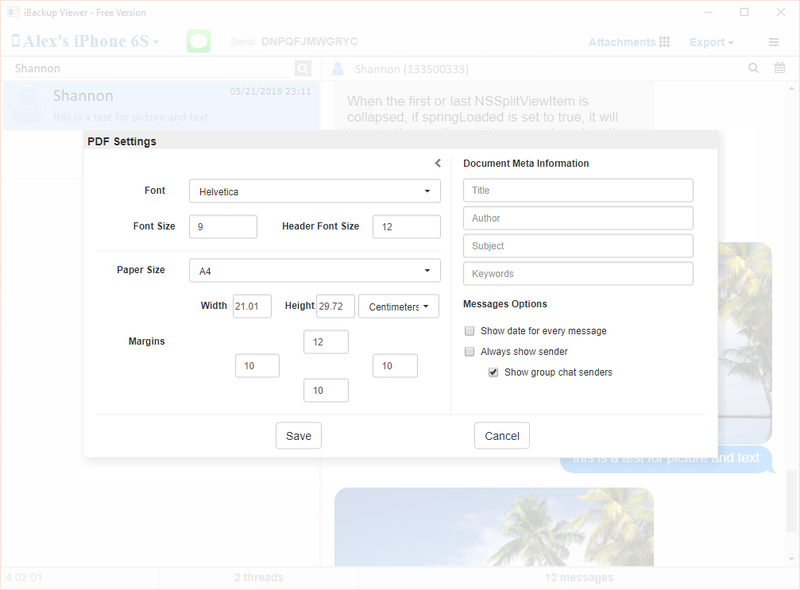 Change paper size of the exported pdf file, and margins to modify the layout of the result pdf file. You can set the attributes of the result PDF file including title, author, subject, and some keywords for the PDF file. Confirm all the settings, then click "Save" to choose a file (for singe thread) or a location (for all threads) to save the result file. .